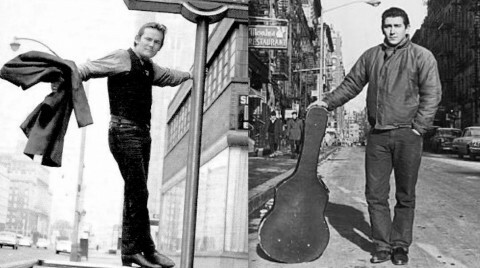 The Ballad of Ochs and Lightfoot - Gordon Lightfoot Book, Music and More! Gordon Lightfoot first came to prominence during the folk boom of the 1960s. On a tip from his friends Ian & Sylvia, Lightfoot was signed by their manager Albert Grossman, the Greenwich Village impresario who also handled the careers of Odetta and Bob Dylan. Right away, Lightfoot found his songs covered and turned into hits by the likes of Peter, Paul & Mary and Marty Robbins. 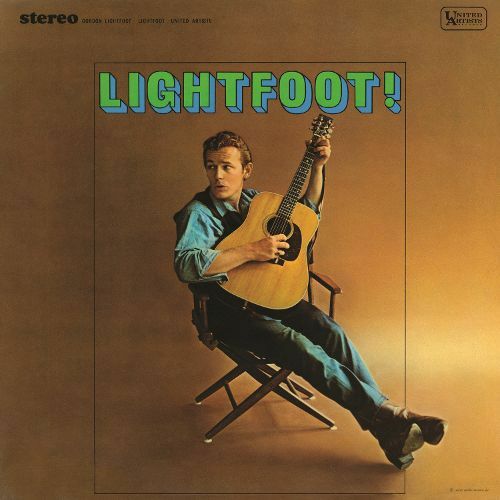 From then on, Lightfoot’s compositions appeared on hundreds of albums by other artists, including Dylan, Elvis Presley, Johnny Cash, Nico, Fairport Convention, the Grateful Dead and, later, the Replacements, Paul Weller, Mary Margaret O’Hara, the Dandy Warhols, Billy Bragg and Neil Young. 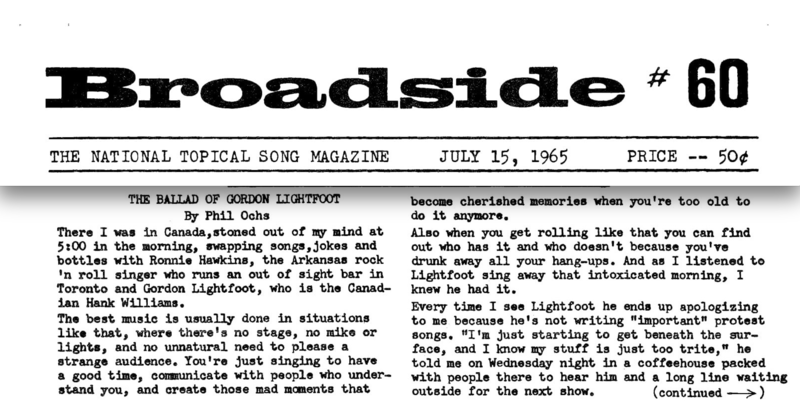 Lightfoot and Phil Ochs met in the summer of ’65 when the topical singer visited Toronto to perform at the New Gate of Cleve coffeehouse in Yorkville. At few doors away, Lightfoot was holding down a three-week residency at the Riverboat. 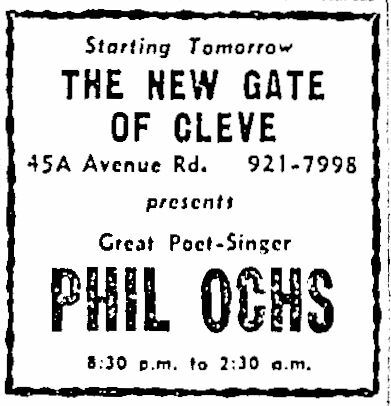 He heard Ochs sing and was blown away by his protest song “Here’s to the State of Mississippi.” But he was even more taken with “Changes,” a bittersweet ballad about the fleeting nature of life that Ochs has just written there on the New Gate of Cleve’s back steps. Lightfoot decided to record it himself. “Changes” would eventually appear on Lightfoot’s debut album, Lightfoot! Ochs was equally impressed with Lightfoot’s songs and the two became fast friends, partying into the wee hours with Ronnie Hawkins and trading tunes. 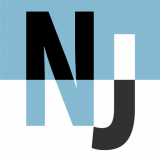 A month after his visit, Ochs, a former journalism student at Ohio State University, wrote a 900-word article about his new Canadian friend for Broadside, the U.S. folk song magazine. 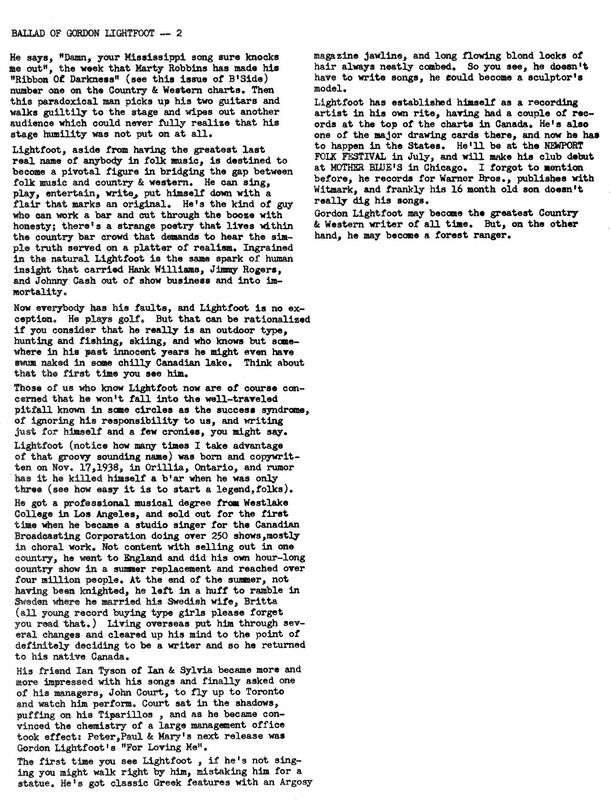 It’s an insightful, funny and highly complimentary piece that compares Lightfoot to Hank Williams and Jimmie Rodgers. Adapted from Lightfoot by Nicholas Jennings. Copyright © 2017 Nicholas Jennings. Published by Viking, an imprint of Penguin Canada, a division of Penguin Random House Canada Limited. Photographs used are courtesy of Gordon Lightfoot. All rights reserved.